I took one manual trade in GW yesterday. It was gapping down and printed a nice inverted hammer on the 2nd 10 minute bar. It looked like it was on its way until 10:28AM or so. 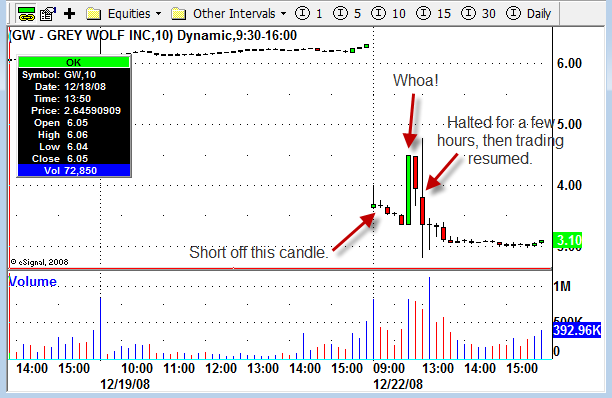 Luckily I was stopped out before trading was halted for over two hours. Apparently someone found out some news that initially the company had no idea about. They initially put out a release that said they had no idea why the stock price dropped. A little later they fessed up.